These beautiful instruments have long been a favorite with musicians. This book is a history, source book and owner's manual for players and fans which covers the facts and figures necessary for serious collectors. In addition to many black and white historical photos, there is also a 32-page color section highlighting models. 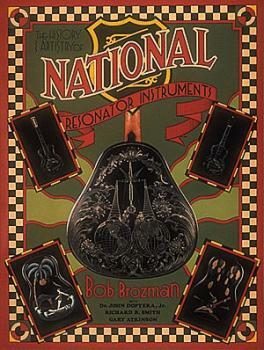 The book covers the company's full history, specific styles and models of all instruments, Hawaiian, blues, and jazz artists who have used Nationals, a history of their advertising, set-up and maintenance, and much more. Appendixes include serial numbers for all instruments, a company chronology and a Hawaiian Artist Discography.